Are Federal Transit Models Short-Changing Universities? 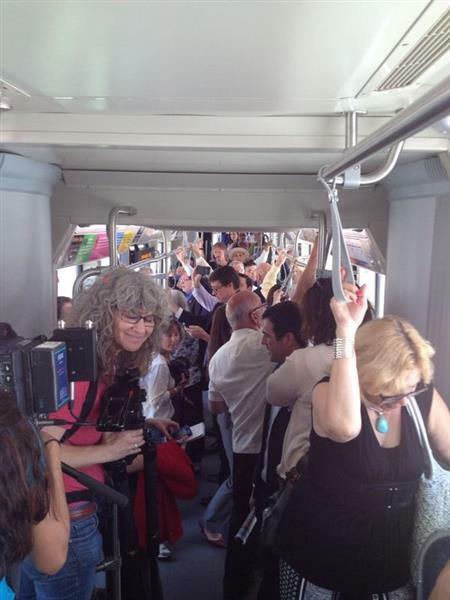 Planners of the new Tucson streetcar predicted that it would carry 3,600 passengers a day. Just three months after it opened, the figure is 4,700. Builders of the light rail between Minneapolis and St. Paul that started running in June foresaw 33,000 daily riders in 2015; the count has already passed 37,000. These two rail lines have something in common: They pass through the heart of major state universities. Maryland’s Purple Line, which will break ground next year, does the same. There’s every reason to believe ridership will beat expectations there too. The forecasts in Minnesota and Arizona did not fall short for lack of effort. A lot of work goes into ridership estimates, and they are carefully vetted by the Federal Transit Administration. Indeed, that vetting may be the cause of the lowball predictions. Since the federal agency has the job of choosing the best among many projects seeking funding, it can’t let local governments puff up their numbers. So it insists that forecasters begin with computer models approved by regional planning agencies and lets them deviate only when hard evidence justifies it. The models are slanted against transit. They ignore the ongoing return to the city and assume a future of more sprawl and more driving. On top of that, they treat universities like any other workplace. That’s a good enough approximation if you’re trying to predict rush-hour highway traffic, the purpose for which the models were originally put together, but it undercounts potential transit riders. FTA recognizes the limitations of its models, and it allows builders of new rail lines to handle students differently. But it’s not easy to put numbers on diffuse social trends, and walkability is hard to measure. The Tucson streetcar project tried to count its students, but it had trouble backing up its estimates and left them out of its official forecast. Minnesota rail planners treated students as a separate category of commuter, willing to put up with more delay on a bus or train than someone going to work. In both cities ridership beat forecasts even before school started, showing that the university effect is not just about students. There’s every reason to think the same thing will happen when the Purple Line runs through College Park, Maryland. Its forecasts [PDF] don’t include the new riders who will be attracted by vastly improved transit service from the campus to Bethesda and Silver Spring. The model predicts 550 daily boardings in 2030 by university employees at the stop in front of the Student Union. But shuttle buses from there to the College Park and Silver Spring Metro stations already carry 600 employee round trips a day. Students who now ride the two shuttles and parallel public buses were added to the forecast. Here again the numbers look to be low. Ridership was expected to increase 25 percent — what would be expected on the current buses, just due to enrollment growth and tightened parking restrictions. 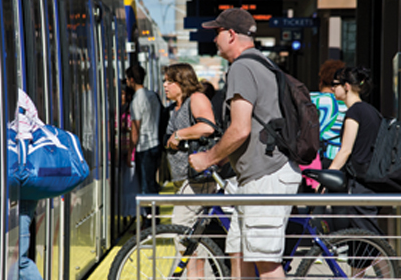 The success of transit lines depends on more than measurable quantities of jobs and homes. Walkability and culture matter too. The Purple Line, anchored in the three urbanizing centers of College Park, Bethesda, and Silver Spring, is poised to be another outperformer. Ben Ross is the author of “Dead End: Suburban Sprawl and the Rebirth of American Urbanism” and a longtime transit advocate in Maryland. Thank you for explaining one of the ways in which the federally approved models are grossly underestimating ridership. The “university effect” is a big deal.